We’ve all got a neighborhood gem that we find ourselves going to time and time again, and one of ours is Hudson Hill in Capitol Hill. 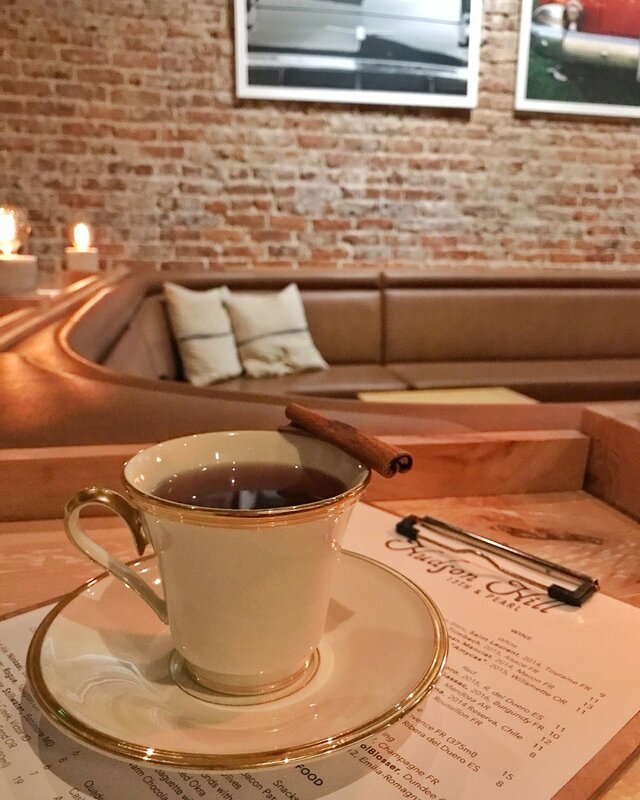 Opened in 2015 by owner Jake Soffes, Hudson Hill is an inviting coffee shop and cocktail bar that is equal parts casual gathering spot and sophisticated watering hole for cocktail enthusiasts. Upon entering the bright, airy space (after stopping to admire the live herb wall, that is), you’ll find no shortage of comfortable places in which to sit – the large wooden center bar, which gives you a front row seat to the bartending team's handiwork, and two large lounges filled with big couches, leather chairs, and mid-century wood tables. Decorative touches like photos of vintage cars and Navajo blankets add warmth to the brick walls, while the impressive collection of spirits behind the bar will undoubtedly catch your eye throughout your visit. No matter what time of day you decide to post up at Hudson, there’s a drink or bite to suit your mood. In the a.m., coffee drinks made with local Commonwealth Coffee, teas, and pastries will keep you energized while cranking out a work presentation (shoutout to the complimentary wi-fi) or catching up on the latest with an good pal. A morning favorite of ours is the Tumeric Latte, a creamy blend of sweet and spicy. Come the afternoon/whenever it’s time for a drink (don't worry, we don't judge), Soffes’ menu presents a bevy of options, including craft cocktails suited for all tastes like the Sauvecito made with rye, lillet rouge, basil, and absinthe; standout beers from Denver and across the country; and a selection of unique yet approachable wines. Happy hour is offered daily from 4-7 p.m., and bonus! – all night long on Mondays (cue the Lionel Ritchie). Hudson also offers a few snacks to complement your sipping, such as Marcona almonds with smoked sea salt, olives, and a killer cheese plate that Ina Garden would be proud of. Need a reason to visit Hudson ASAP? Well, you're in luck - Soffes and the crew rolled out a few new fall cocktails menu this week, with offerings like the Bitter Friend with scotch, cold brew, Campari, and angostura amaro. 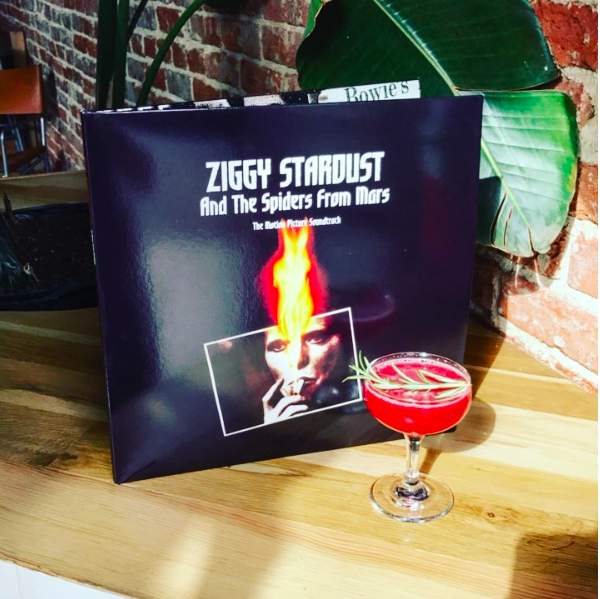 We tried the Dusty Bug, a hot or cold cocktail made with mezcal, a housemade Syrah-chai syrup, and lemon, and immediately knew it would be our go-to snowy day drink this season. Order your po' boy or kolache ahead of time via the handy dandy online ordering system, just in case you can't get to Post Oak before they run out! The Dusty Bug cocktail, served hot.